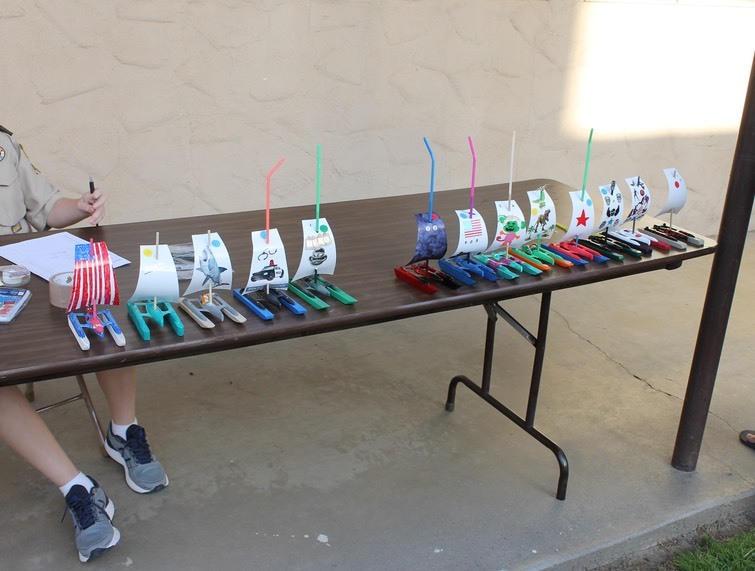 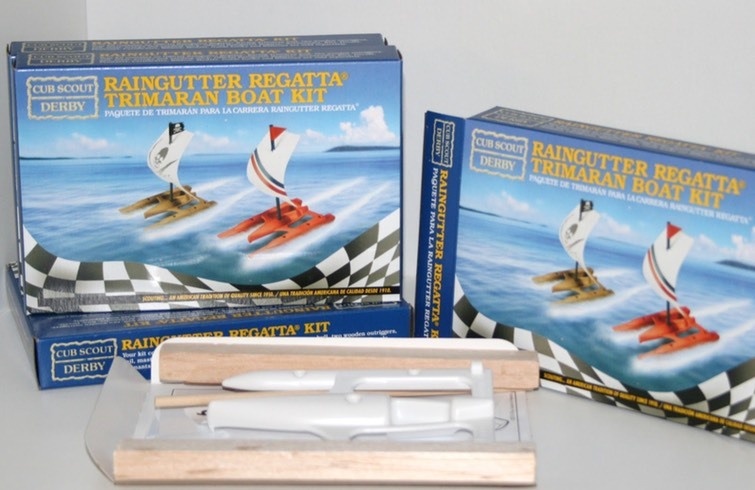 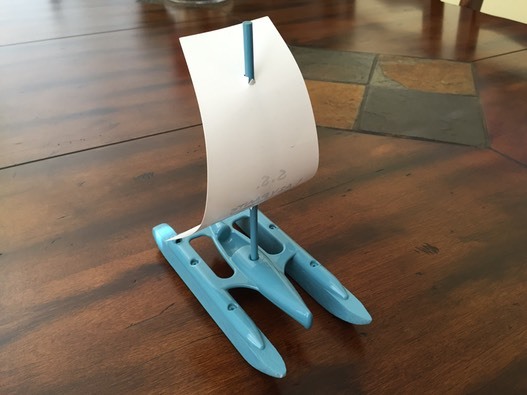 The Kit includes two balsa wood outriggers, a plastic frame hull, screws, a mast, and a sail. 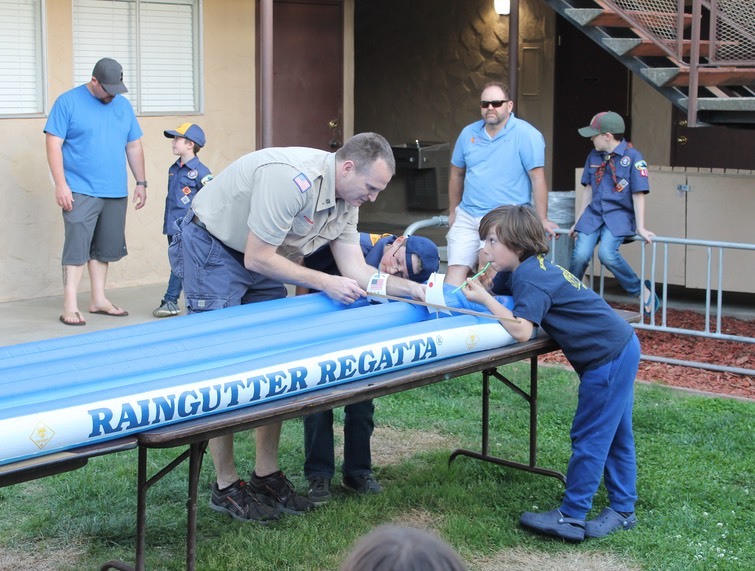 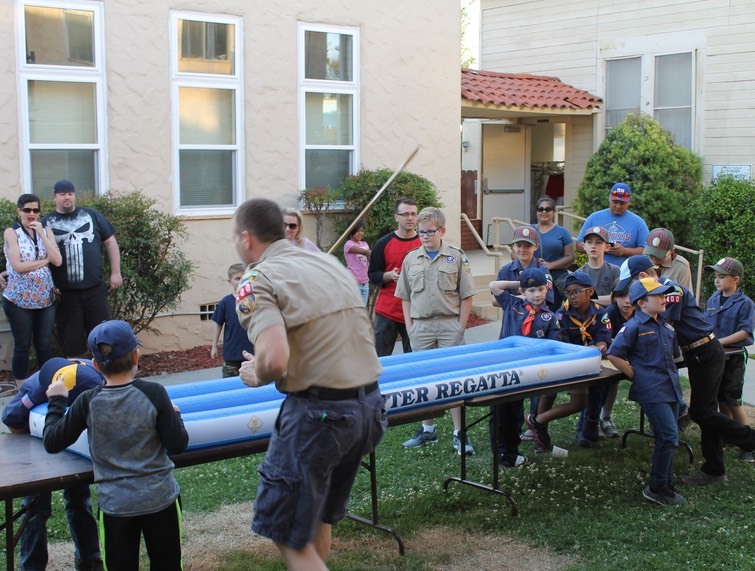 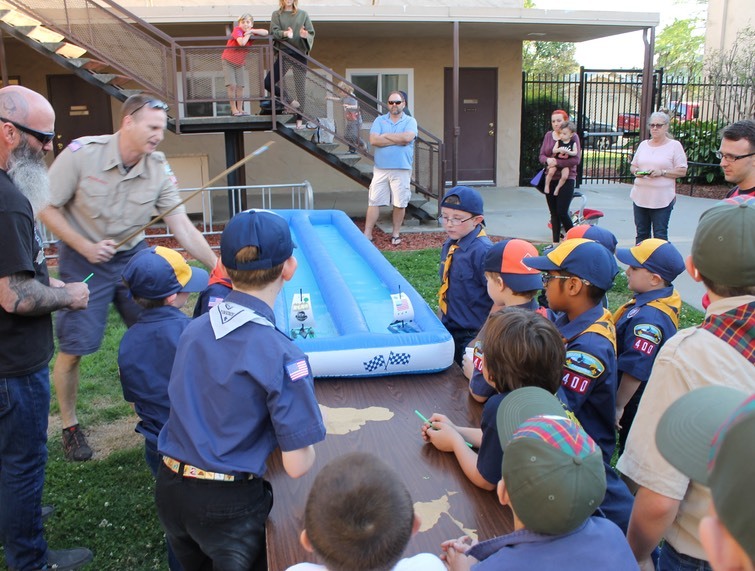 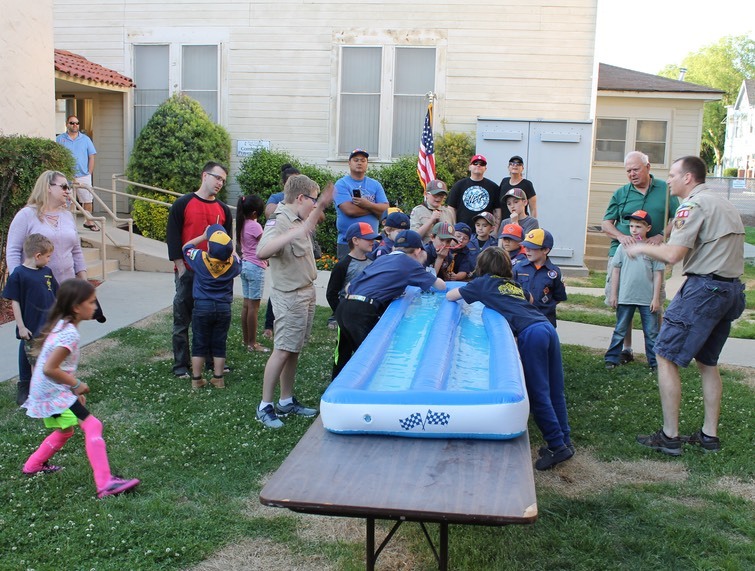 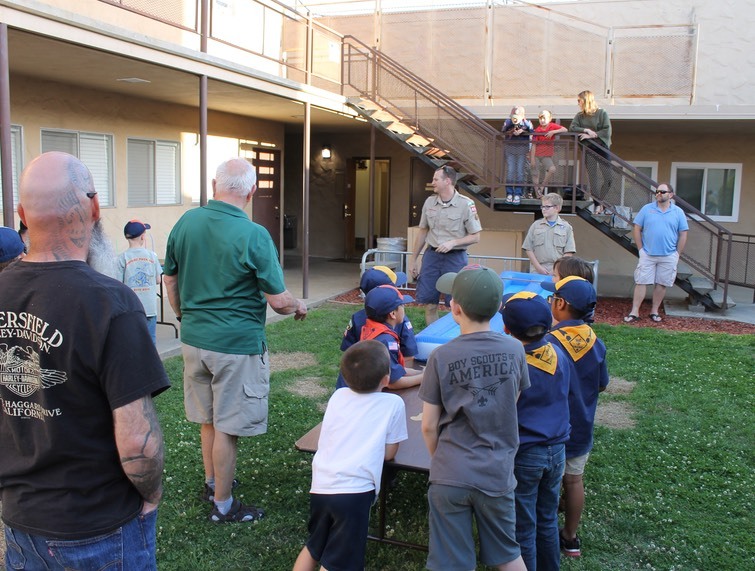 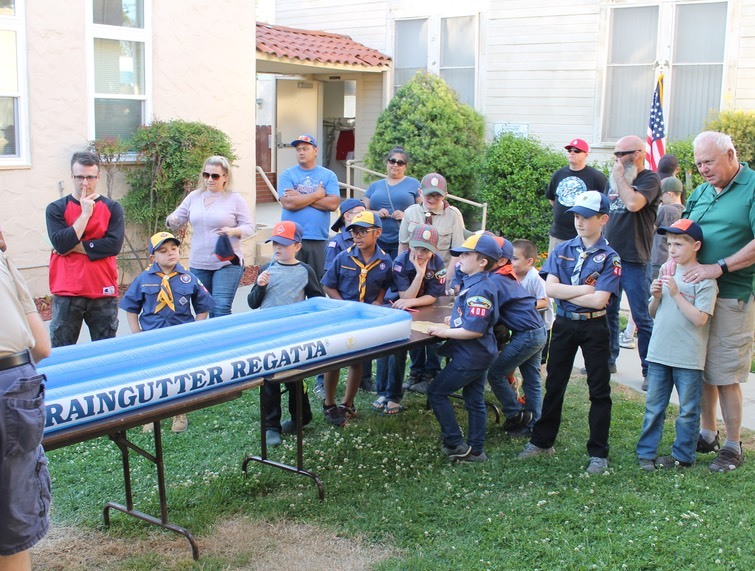 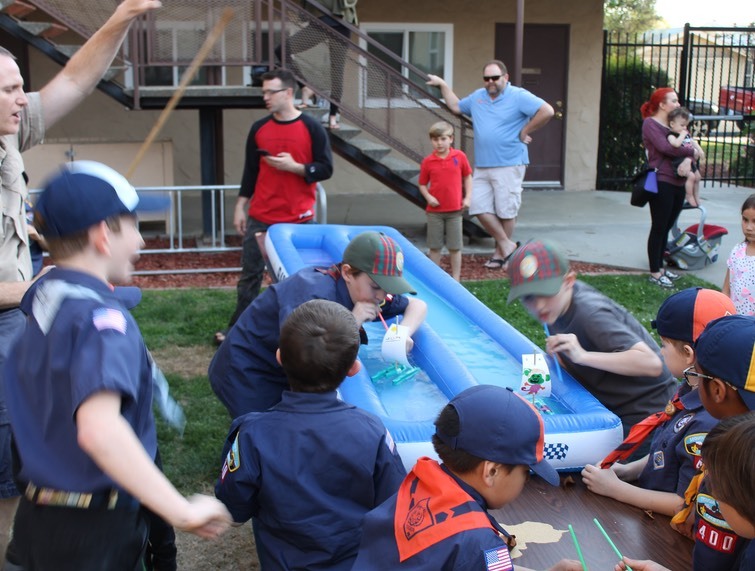 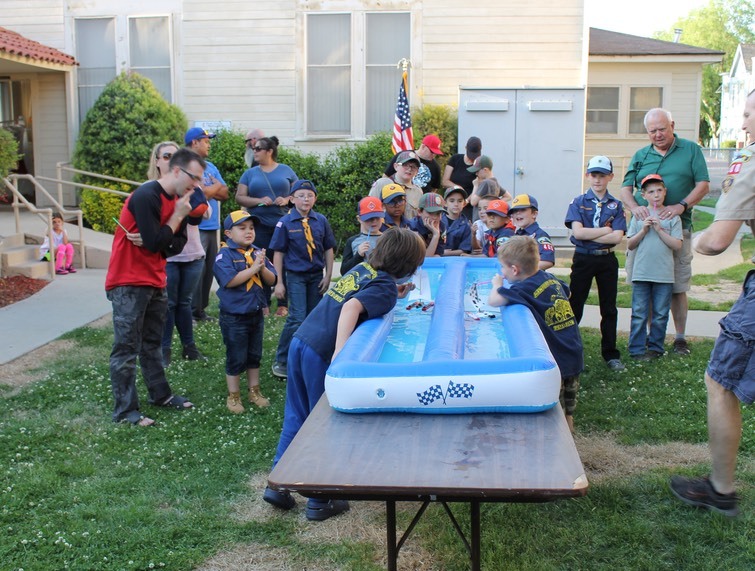 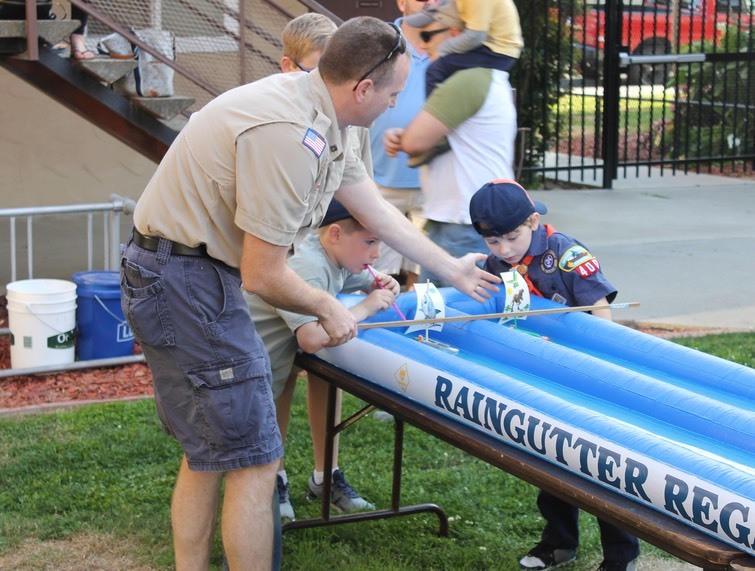 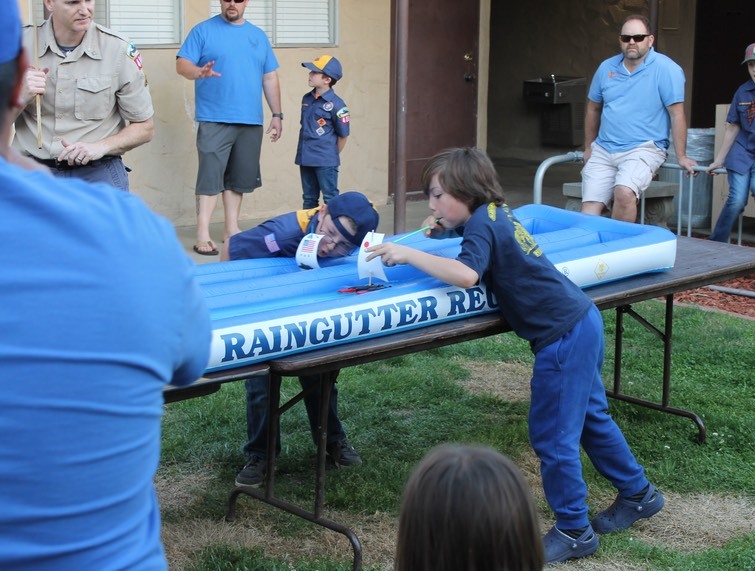 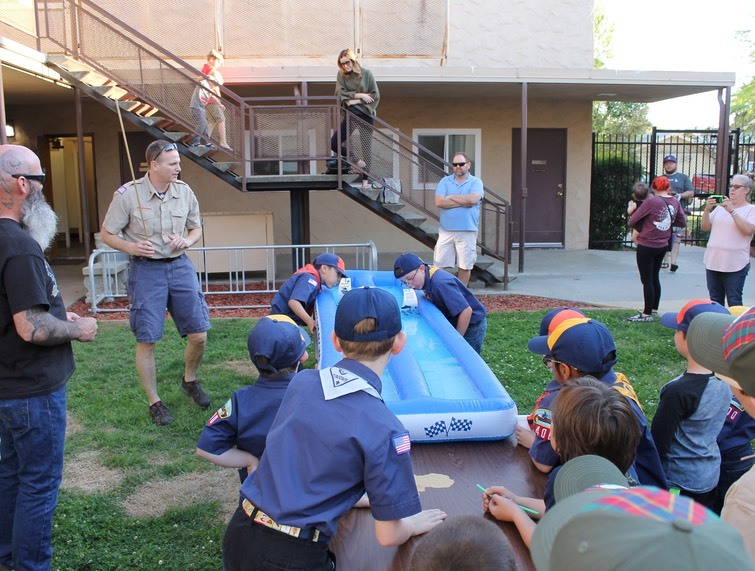 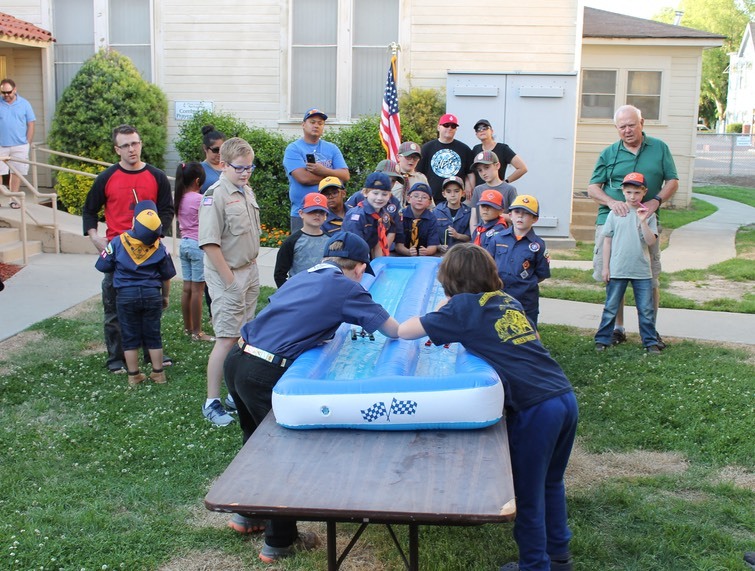 The scout and adult assemble the boat and can modify the outriggers the help the boat move though the water. 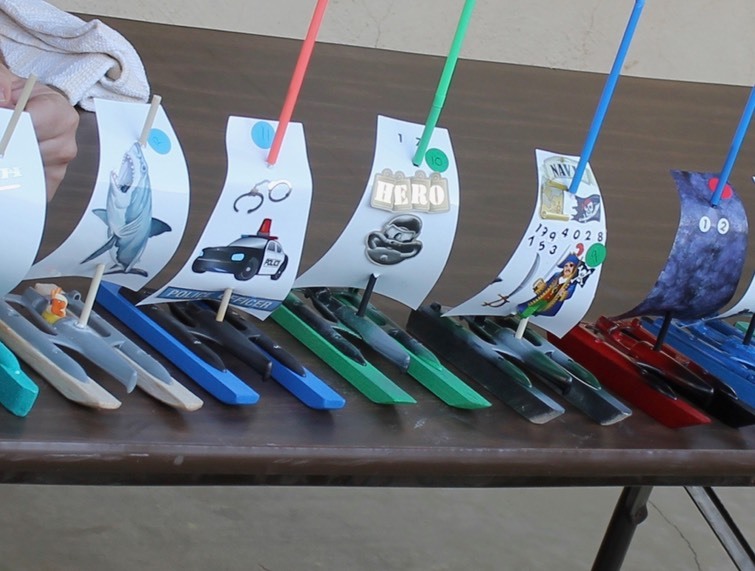 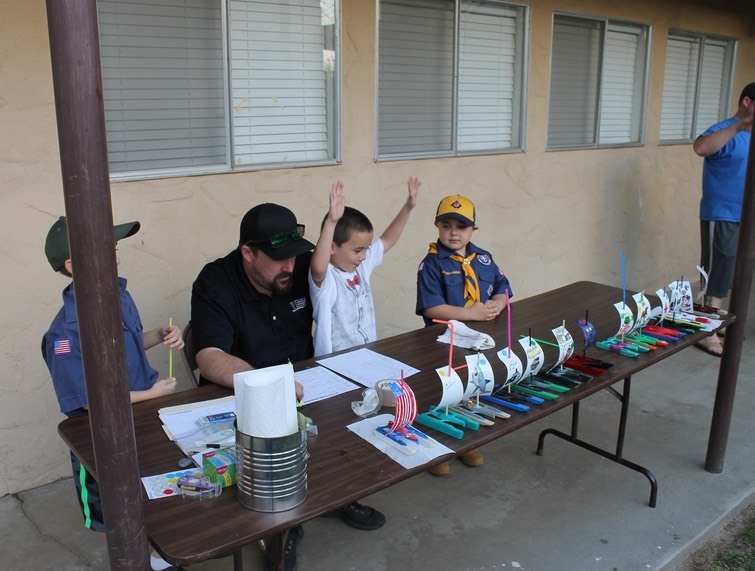 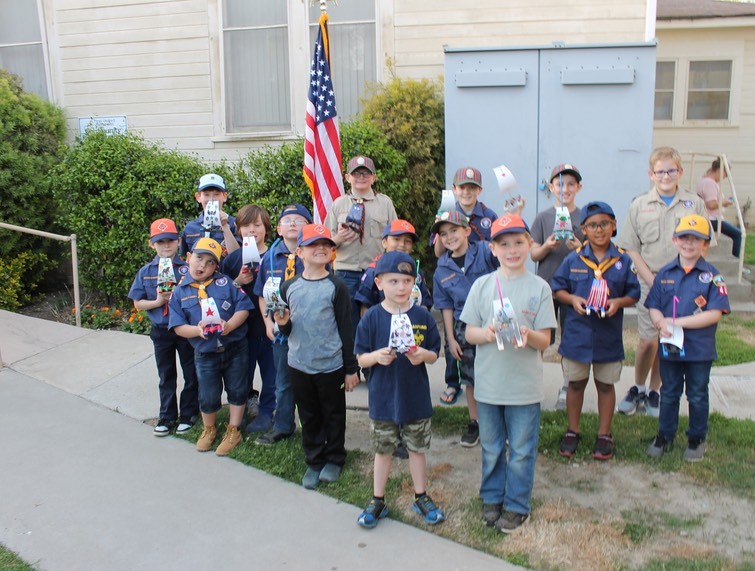 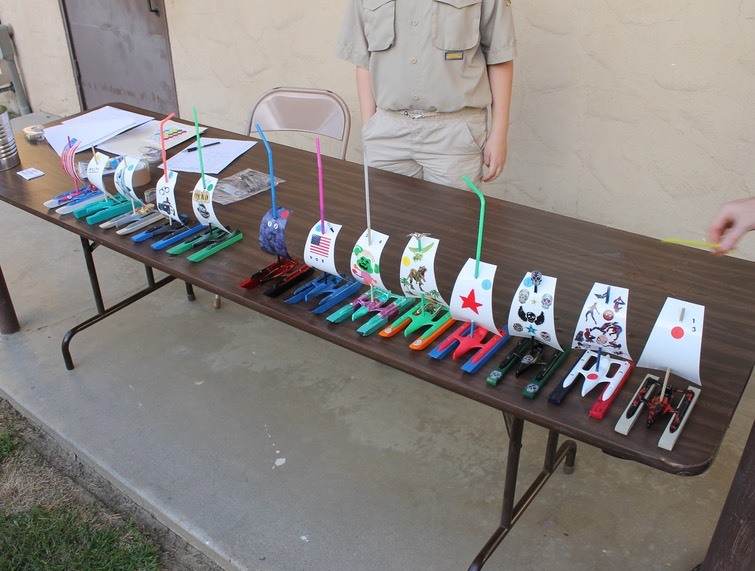 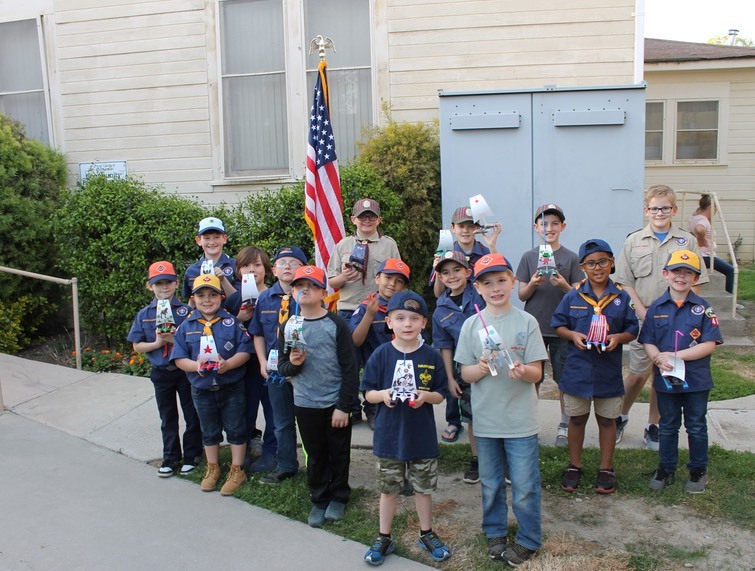 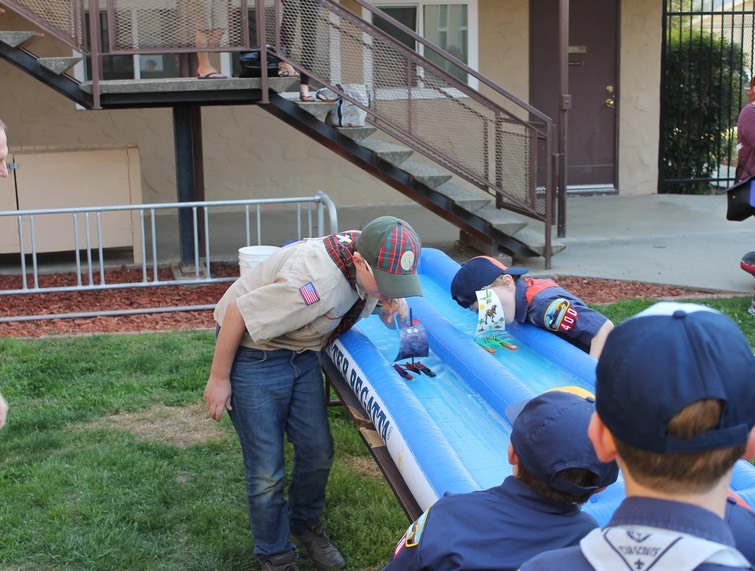 The boat can be painted and decorated however the scout sees fit, but nothing can be added to make the boat longer than what was in the original kit and all parts from the kit must be used. 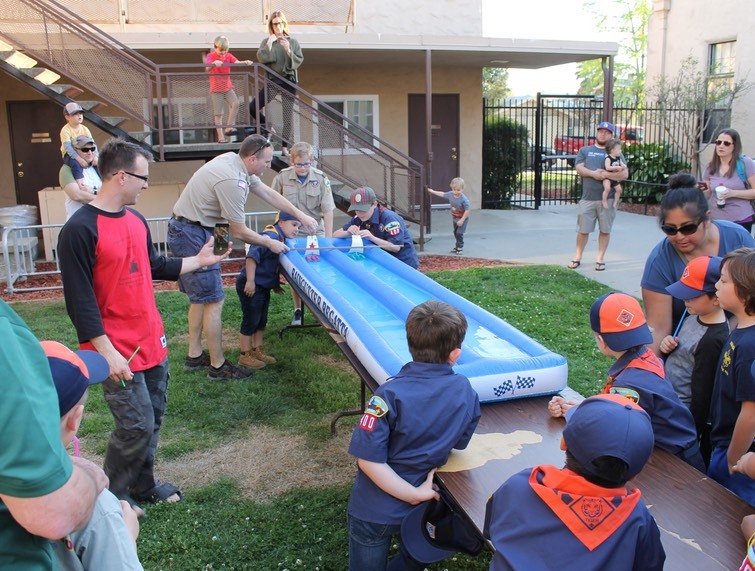 On race day we set up an inflatable “gutter” with two lanes. 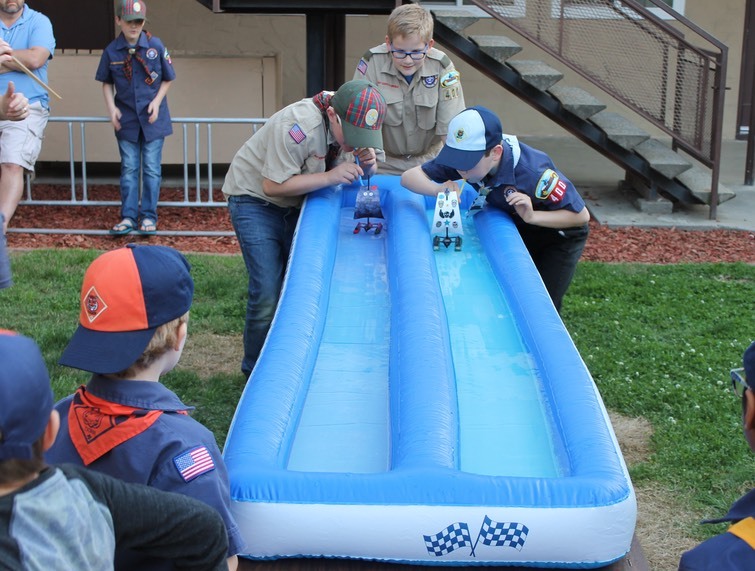 The boys are paired into heats and the race begins. 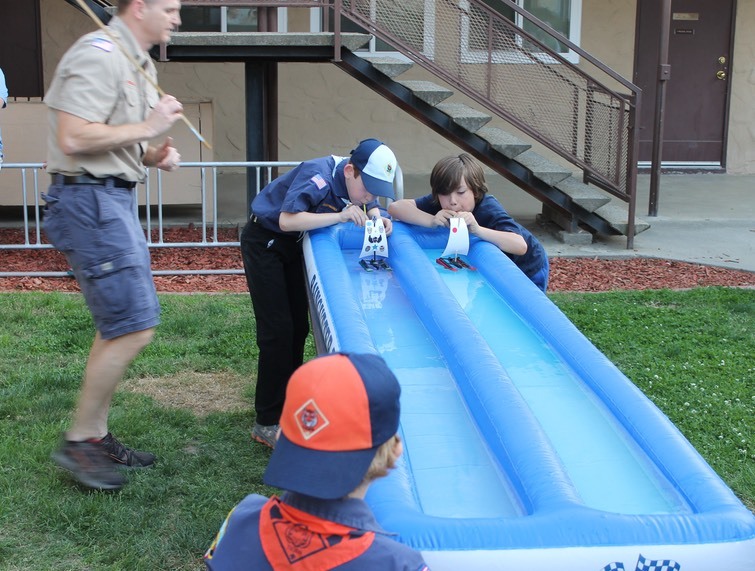 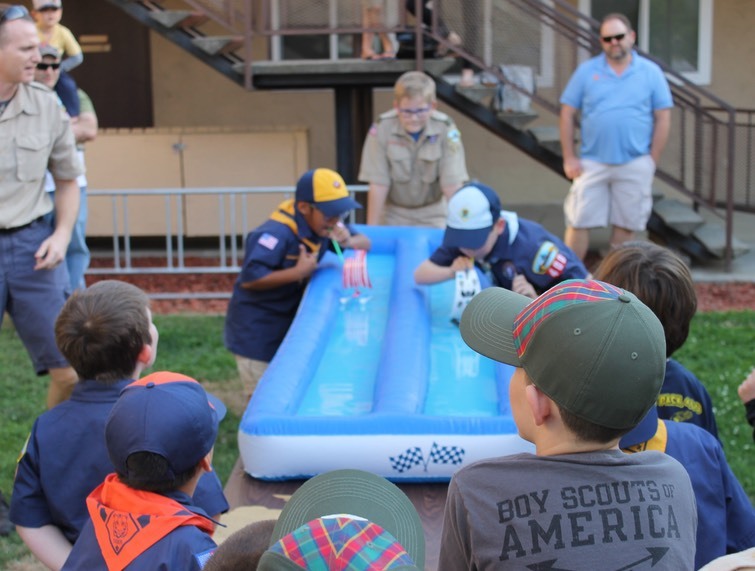 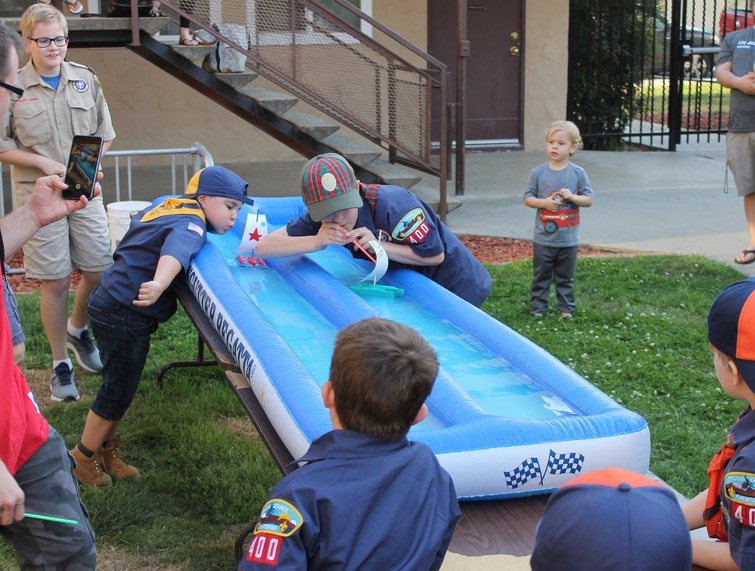 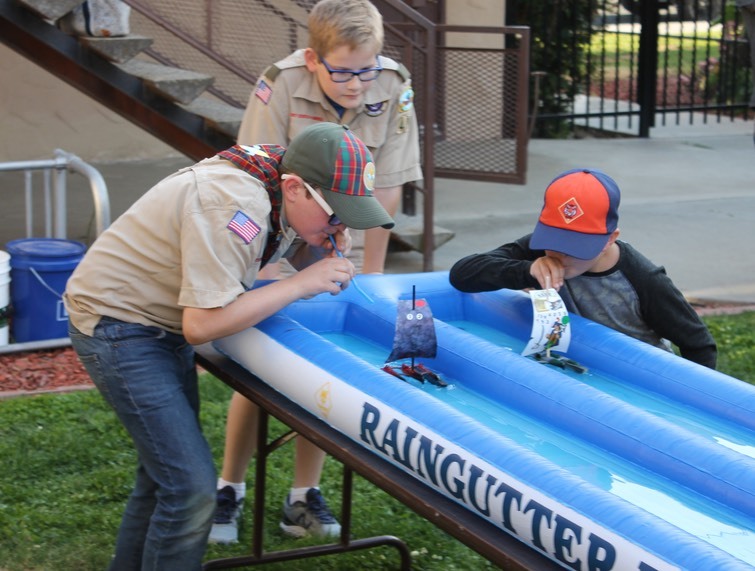 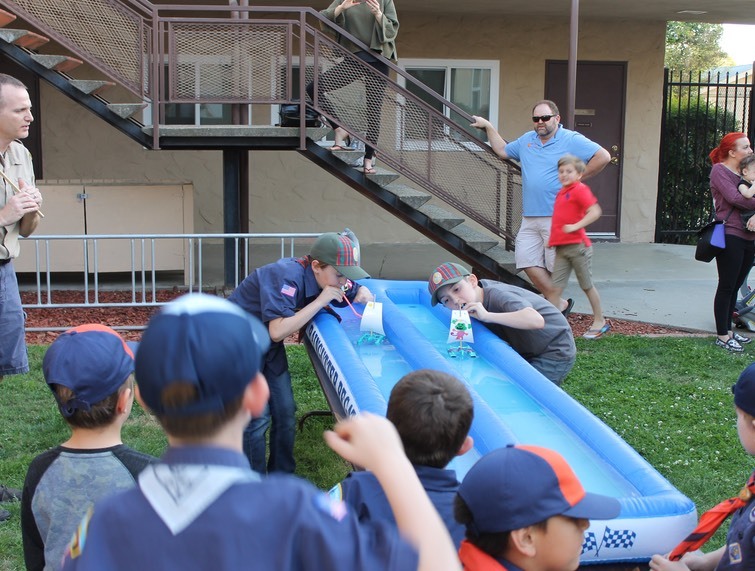 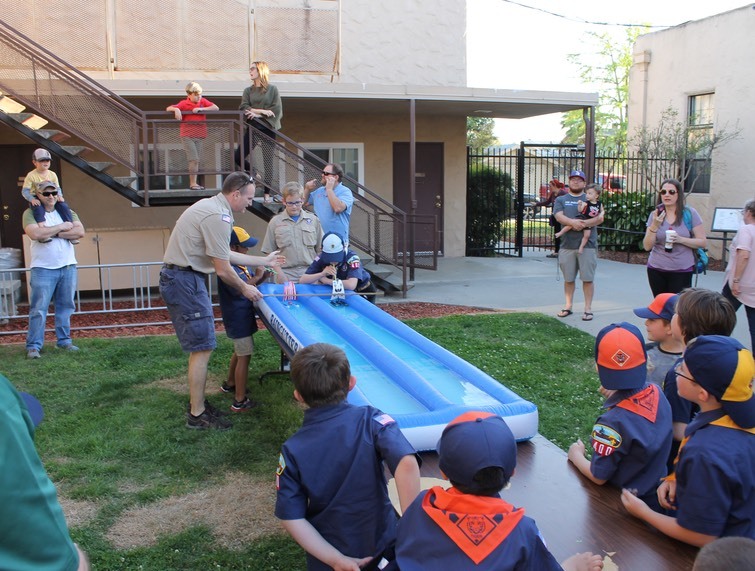 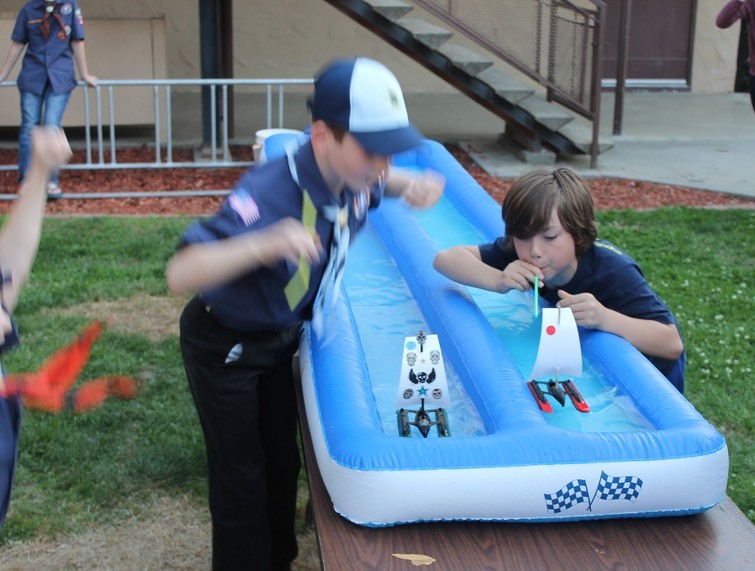 To move the boat down the the track the scout is only allowed to blow into the sail of the boat using a straw or just their mouth. 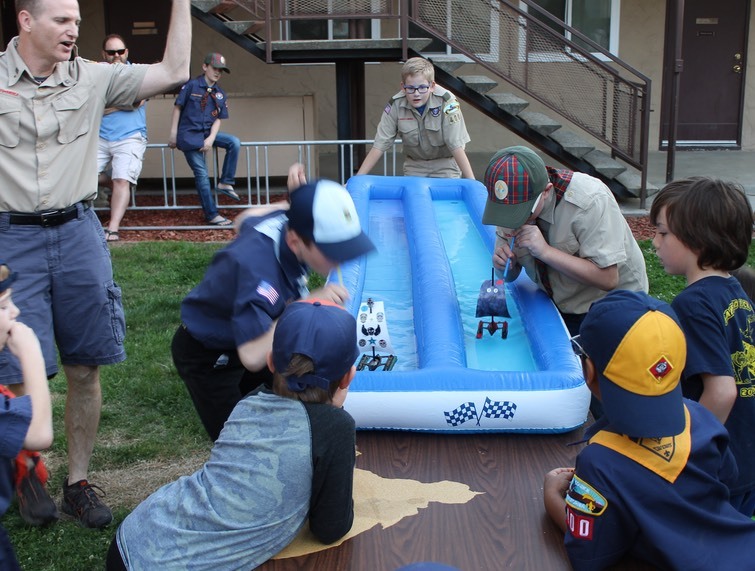 The scout is not allowed to touch the boat with their hands. 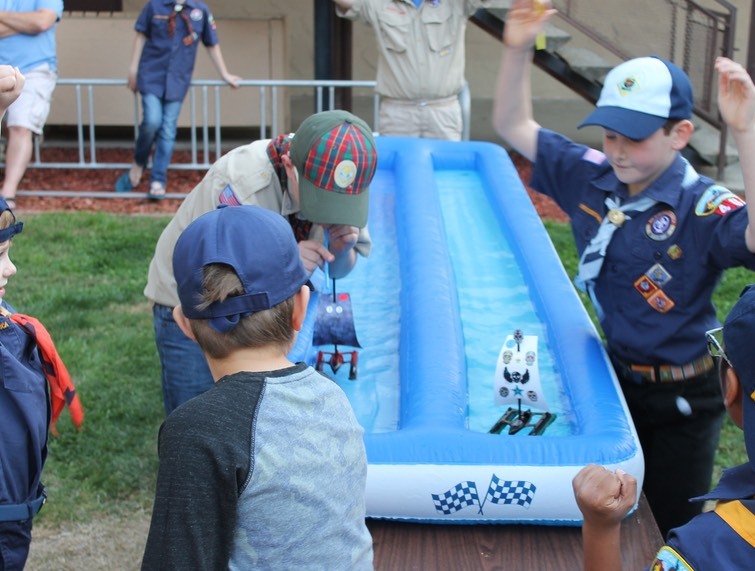 The first boat down the track wins the heat.